It’s that time of year again- time to get stressed about what you’re giving whom for the holidays! Honestly, I’m a last minute gift giver and I have no shame about it. I’m a busy guy and I procrastinate, so sometimes people get their holiday gifts late and there’s no reasoning getting upset about it. 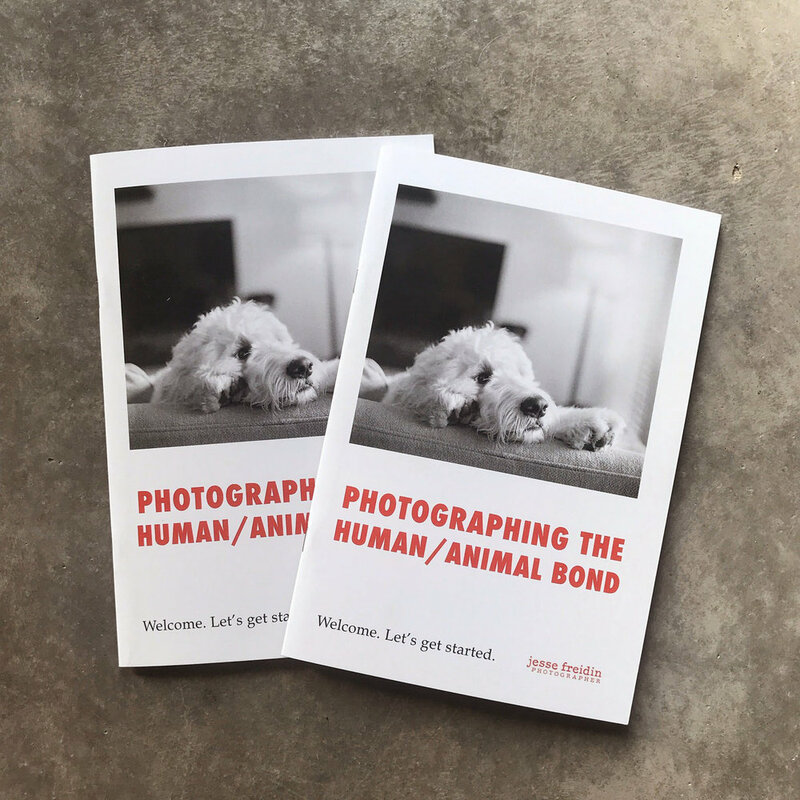 However, here’s a pro tip for you: get your fellow dog lovers a Dog Photography Gift Certificate from the studio this holiday! It’s easy, it’s guaranteed to please, and you’ll be lauded as the best gift-giver in town. Pet Photography Gift Certificates from my studio are fully customizable, however I always recommend starting with either one of my hand-selected packages that include a weekday Fine Art Dog Photography Session as well as a selection of small prints. 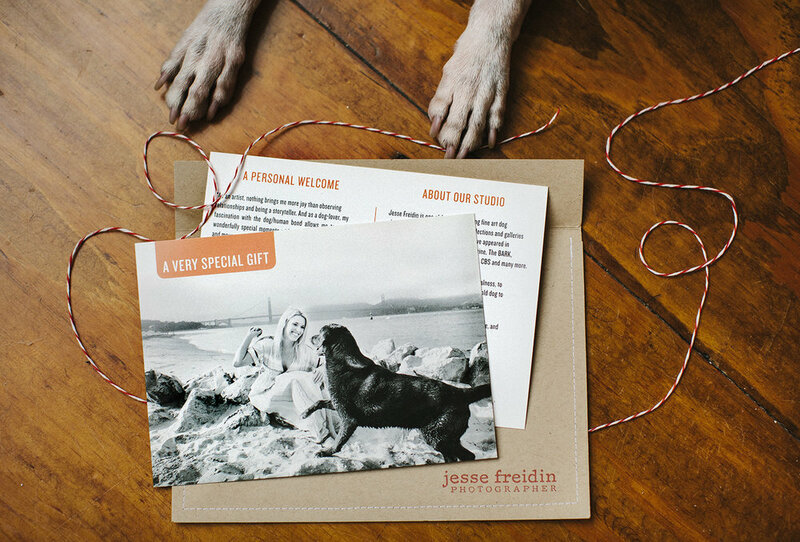 This is a truly wonderful way to get your recipient started in building a beautiful black and white dog photography collection - they get an incredible experience with me, focusing on exactly the kind of dog portraits they had in mind, as well as some beautiful signed dog portraits that they’ll cherish forever. They don’t have to invest in anything else, of course - though they will have the opportunity to do so during our project. Zero stress on them, LOTS of holidays awesome points for you. Other gift ideas for your fellow dog-lovers and dog-owners? Sure thing. Here’s one - get them a signed copy of Finding Shelter, my 2017 book (published by Lyons Press) about the beautiful and emotional bond between our country’s animal shelter volunteers and the homeless shelter animals they care for. Now, you could purchase “Finding Shelter” on Amazon for a discounted price, and you could purchase a copy at Barnes + Noble or your local small book shop (go there! really!). 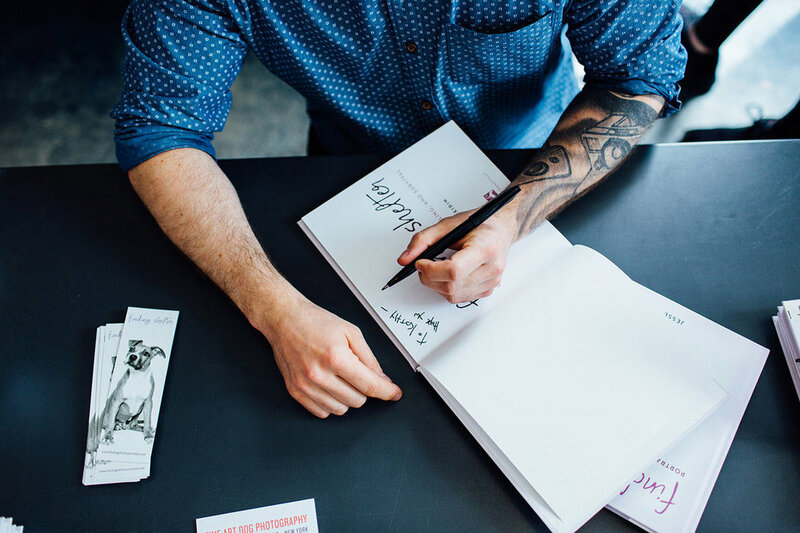 However, the only way to get a signed + personalized copy of my book is to purchase it directly through my studio. A signed copy from my studio runs $25 + shipping, and I’ll not only sign it I’ll also inscribe it with any message you’d like. Fun! What a great pet lover’s holiday gift. To purchase a signed + personalized copy of Finding Shelter directly though my studio, just use my contact form and let me know you’d like to order your copy (or copies, really). Click CONTACT on the menu bar at the top of my site, or just click here.